With just a little dialogue and some powerful imagery, we learn a lot about this desert-world scavenger. Directors only have one chance to introduce characters in a film and make a first impression. Darth Vader was introduced to audiences boldly walking through a cloud of smoke surrounded by stormtroopers at attention with dramatic music as his accompaniment. 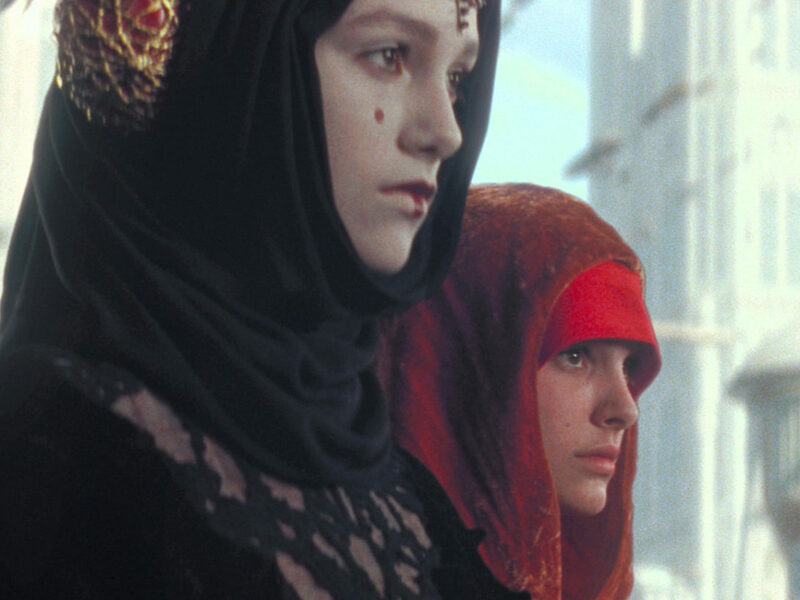 Queen Amidala was introduced as an image on a screen sitting imposingly in a dramatic royal gown and makeup. 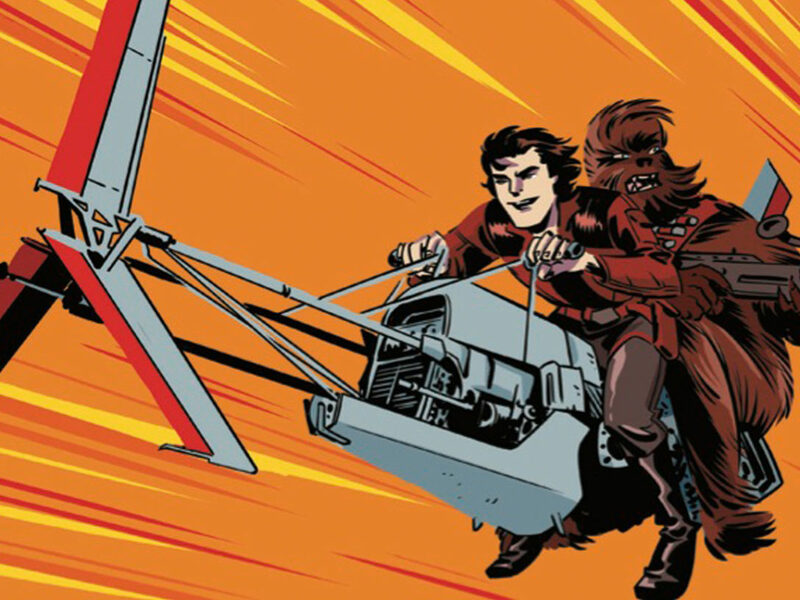 Whether it’s a well-known protagonist like the third appearance of Han Solo in Return of the Jedi, or an entirely new hero to the Star Wars universe like Rey in The Force Awakens, character introductions can be be anything from a hint of what’s to come, to intentionally misleading, to completely inconsequential. Here’s a look at the introduction of Rey in The Force Awakens from the very first shot to her entire introductory sequence. The first shot of Rey in The Force Awakens comes shortly before the 11-minute mark. This brief shot is the beginning of a sequence a bit over four minutes long that focuses almost exclusively on Rey — an unusual choice for a Star Wars film. In this first shot Rey is covered up, including goggles that cover her eyes. It’s impossible to know at this point if this character is male/female, human/alien, old/young, good/bad. 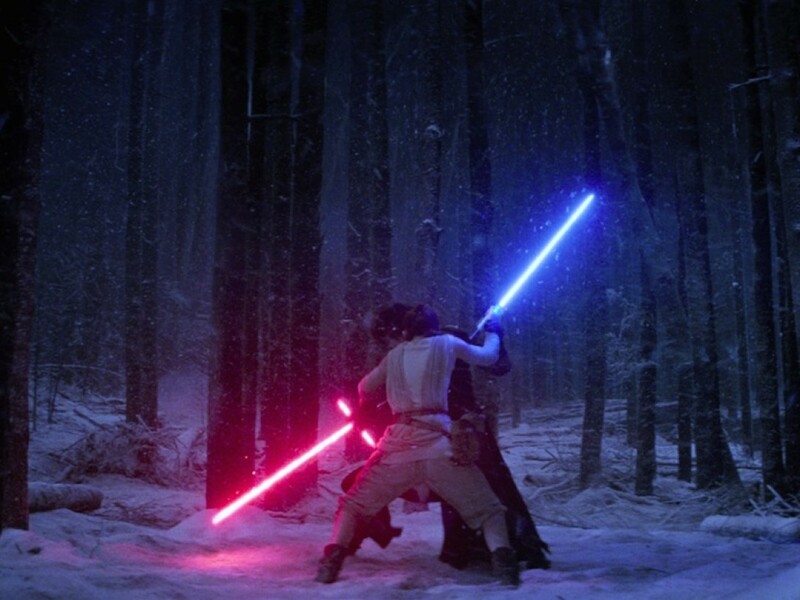 This shot is the second part of a classic match cut The Force Awakens director J.J. Abrams chose to use here. The scene right before Rey’s introduction shows a very upset Finn gasping for breath after witnessing (but not participating in) the masscare at Jakku. At the end of the scene he puts back on his blood stained First Order helmet and the closeup of this helmet cuts to the first shot of Rey in her goggles (with a very quick shot of the starry sky in between). The juxtaposition of a close-up of a character in a helmet with large black eye-shields with another character with goggles of a similar shape covering their eyes is an interesting editorial choice. It’s visually appealing to match the composition of shots in this way, but Abrams is also linking the characters with this transition. Previous Star Wars characters who have covered their faces have almost always been bad guys, from Darth Vader to Boba Fett to Tusken Raiders. These masks are regularly used a sign of strength and intimidation of other characters as well as, in Darth Vader’s case, a mechanism for survival. 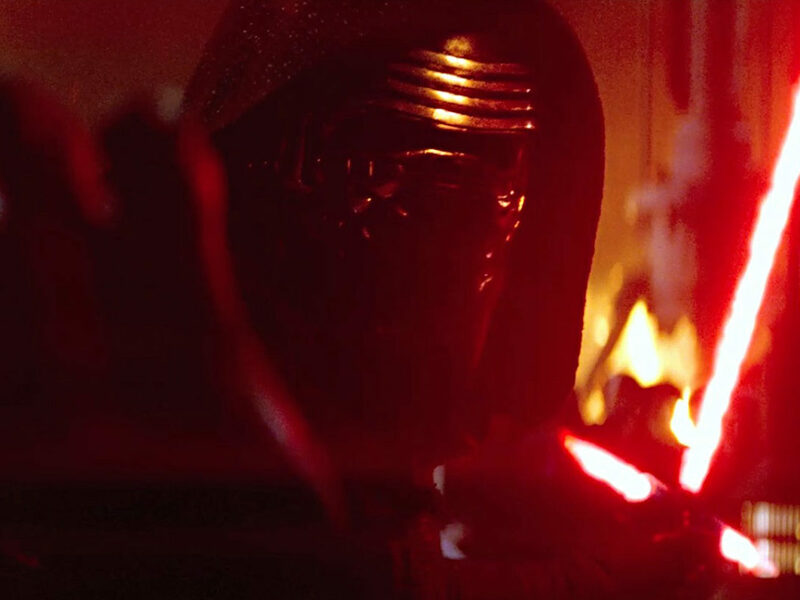 The opening 10 minutes of The Force Awakens is filled with notable characters that are shown in masks, including Finn, Captain Phasma, and Kylo Ren. 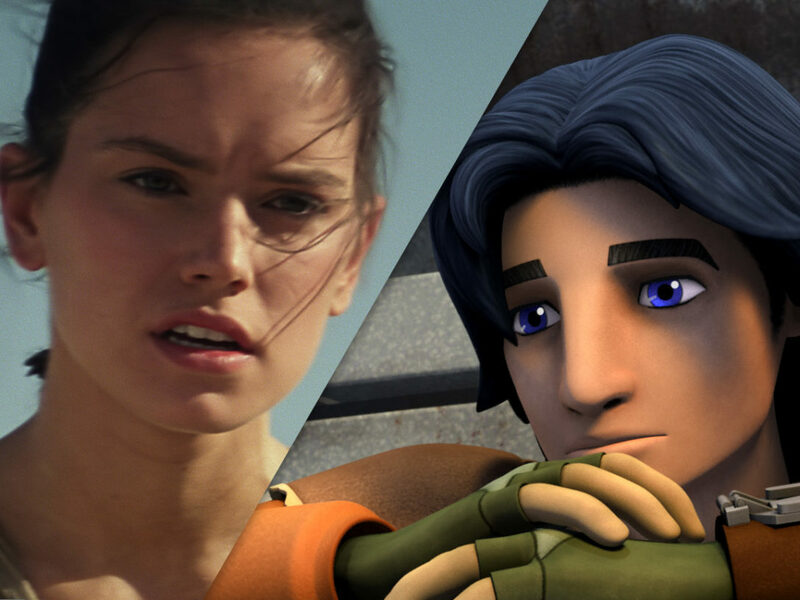 Finn and Rey both use their “masks” only as temporary means of survival in The Force Awakens. Here Finn’s helmet serves as a mask that hides Finn’s horror of what his life has become. It can also be seen even as a form of restraint Finn will need to escape from if he wants to avoid more killings. But why does Rey have her face covered? To further the mystery of Rey’s identity, there isn’t any music in the first few shots to give us a hint about her character. The audience only hears what Rey is hearing — a cabinet opening, the sounds of her sliding down a rope, Rey’s feet landing on the ground, etc. What’s clear in these first few shots is that Rey isn’t lost, in need of rescue, or just stumbled upon her surroundings. Rey knows what she’s doing as her actions (quickly finding and removing a part of the ship) show a sense of purpose and know-how. 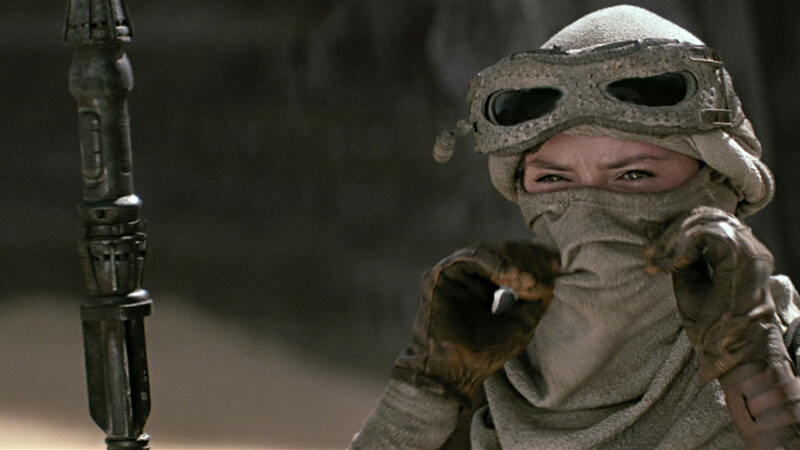 Rey is dressed appropriately for this sandy environment as well, and is well outfitted with goggles, flashlight, and what appears to be a weapon on her back. From the very beginning Rey is shown to be a skilled survivor and completely independent of others. Star Wars films are known for dramatic musical scores bursting with energy and drama (think the Star Wars “Main Theme” or the “Imperial March”) so it’s notable that Rey’s Theme, especially at the beginning, starts out and remains mostly soft and understated. The dominant instrument audiences hear is a lilting flute. The music slowly builds as we follow Rey, now on her speeder, from the Star Destroyer wreckage to the Jakku village, and then to her home. The melodic and even mellow tones in “Rey’s Theme” hint to the audience that Rey is not a threat, she is someone the audience should trust and empathize with. The piece never builds to a dramatic conclusion as Williams mentioned, but instead leads the audience along a path to discover who the character of Rey is — where is she going? Who is with her in this desert world? Why is she here? As the sequence continues we see that Rey doesn’t have a family, friends, or a sense of community on Jakku. She also isn’t defined by her connections to the Resistance or the First Order (yet). Rey doesn’t even really have an occupation that would give her a connection to previously identified Star Wars groups. 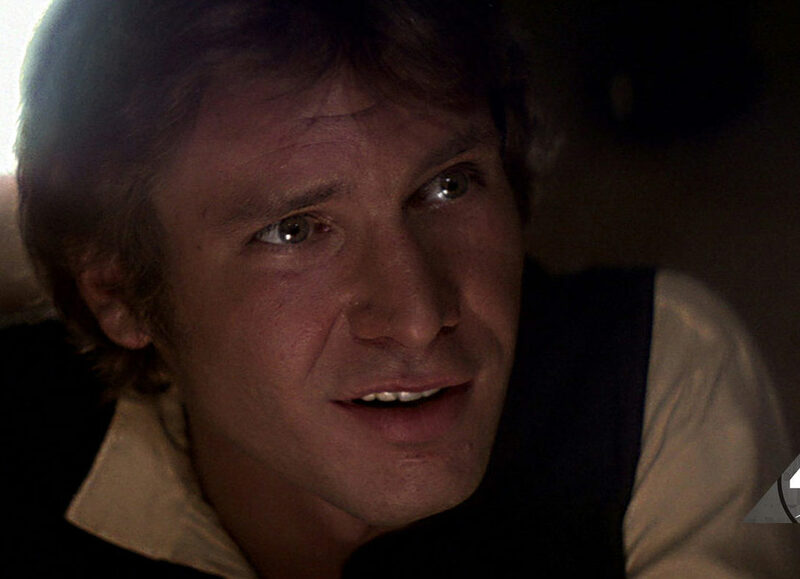 Other Star Wars characters have been moisture farmers, smugglers, bounty hunters, or senators. 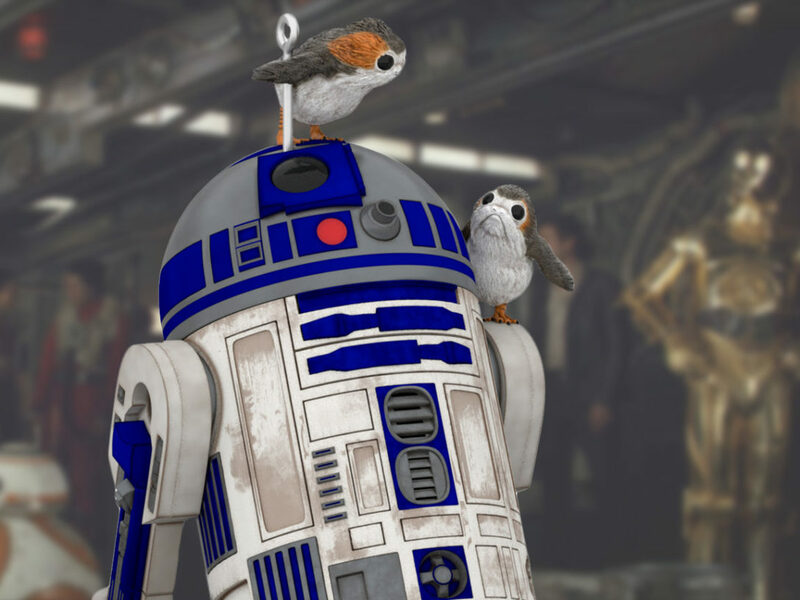 Rey is a scavenger. Her job is to survive. 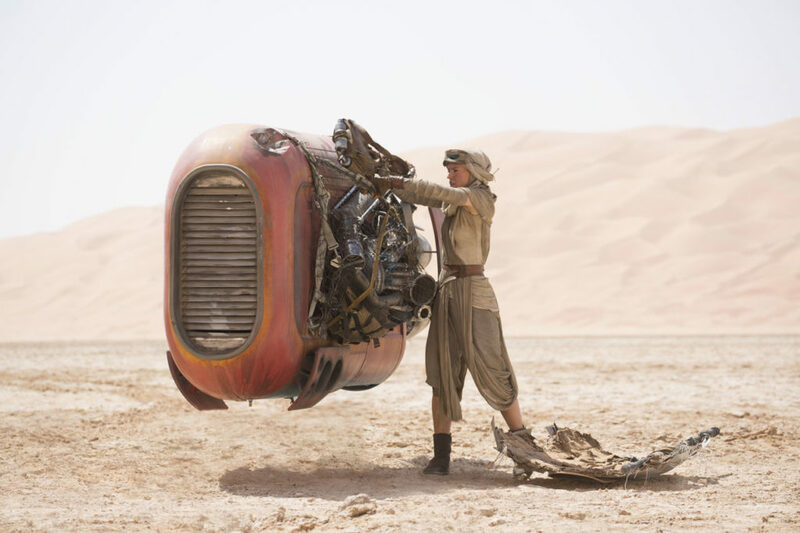 Even though Rey is a new and unique character in the Star Wars universe Abrams and the production designers surrounded her with familiar Star Wars vehicles and locations such as Star Destroyers, X-Wings, and a desert village filled with a menagerie of aliens and creatures. 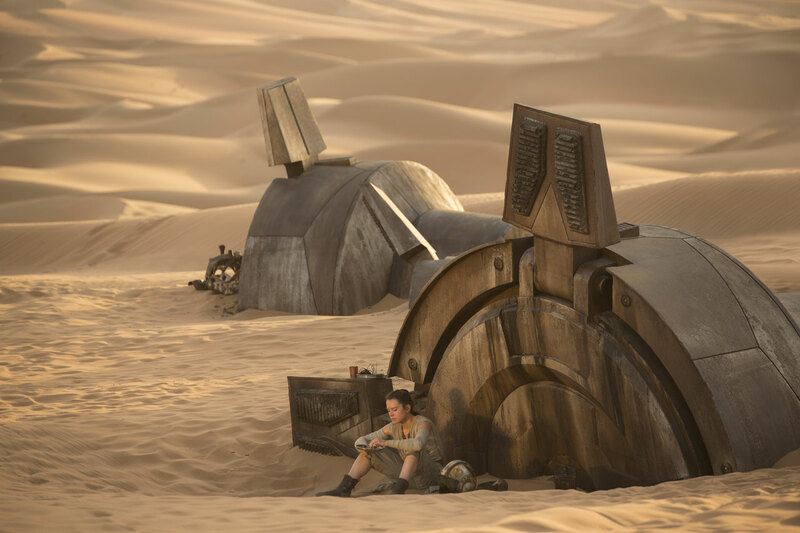 While Rey’s surroundings are somewhat familiar to Star Wars fans, Rey’s isolation is in sharp contrast to two other Star Wars characters that were also introduced in remote desert worlds — Luke Skywalker and Anakin Skywalker. Luke had Uncle Owen and Aunt Beru in A New Hope. Anakin had his mother Shmi in The Phantom Menace. 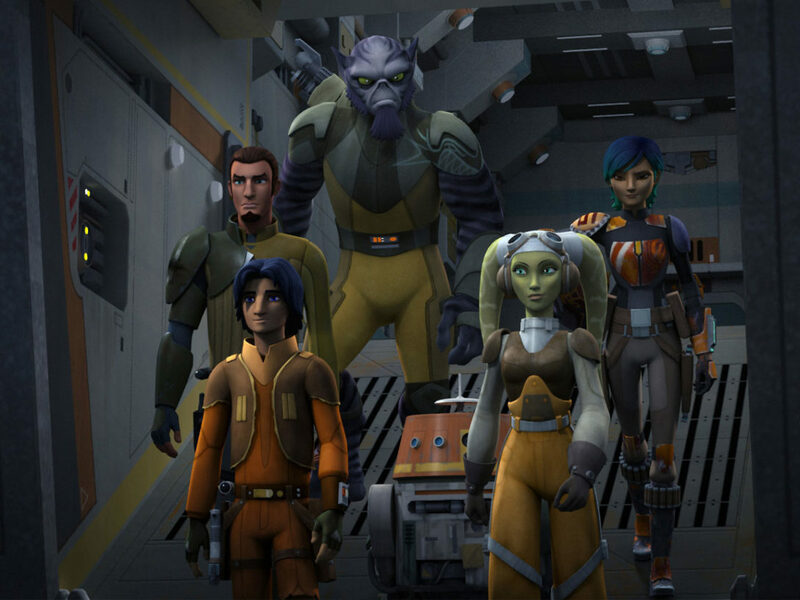 And both Luke and Anakin had a community of friends and supporters in their remote worlds. Compare the friendly chat Anakin has with the old woman, Jira, in The Phantom Menace to the scene in The Force Awakens where Rey glances over to an older woman while they are both washing off spare parts. There are no kind words or even friendly glances from this woman to Rey. Abrams describes this as “a moment where Rey was looking at what her future was going to be” and it’s a depressing (and lonely) future to look at. Dialogue, one of the most basic ways characters connect with each other, is in fact not a part of Rey’s introductory sequence at all, besides an alien yelling at her and a few terse words from Unkar Plutt. Rey’s home, which she goes to after her brief exchange with Unkar, is just as dark as the Star Destroyer she was exploring at the beginning of her sequence. In both locations light only comes in from holes in the walls. It’s so dark in Rey’s dwelling that only a few of her belongings can be seen clearly including a worn out doll and a simple bowl for her food. Audiences can tell from these personal touches — and the wall filled with hundreds of marks on it — that this is Rey’s home, but it looks and feels much more like a temporary shelter than a true home. 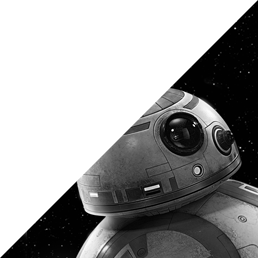 Many visual clues after Rey leaves her home to sit and have some food point to a future for Rey far beyond her current circumstances, off this planet and in the midst of a battle between the Resistance and the First Order. The shot of Rey sitting and eating outside her home is followed by a wide shot of the sky with a barely visible ship flying off planet. The next shot of Rey shows her putting on a scavenged X-wing helmet and then a wider shot of Rey reveals that her home is in fact the carcass of an old AT-AT. While Rey putting on the X-wing helmet can be seen as foreshadowing that Rey is a very talented pilot, it’s easier to at first see this scene as a sad shot of a young woman dreaming of a way to escape her dire circumstances. Rey is a character the audience can easily latch onto and root for (especially after she rescues BB-8) and this shot of Rey “dressing up” as a pilot is a good example of a director potentially misleading their audience a bit. Is Rey an innocent girl that’s waiting for someone to rescue her? You might think that is what Abrams is setting up here, but as Finn and audience members quickly learn, Rey is not a person to be underestimated.